Impress them and be remembered with this fun noise maker... This fun party cowbell noisemaker makes delightful cow bell sounds... 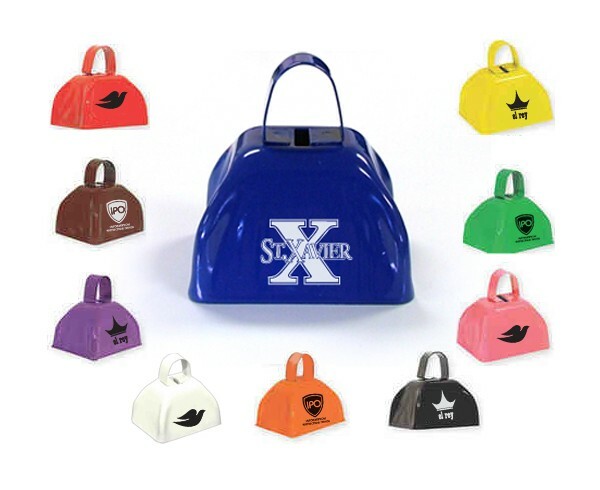 Featuring a sturdy metal body... Noisemakers are available in bright fashionable colors; choose from yellow, red, orange, blue, purple, black, green and white... Perfect for festive events and both school and adult promotions... Eco friendly, made from 100% recyclable materials. • Imprint Area: Circle w/diameter of 1 1/2""